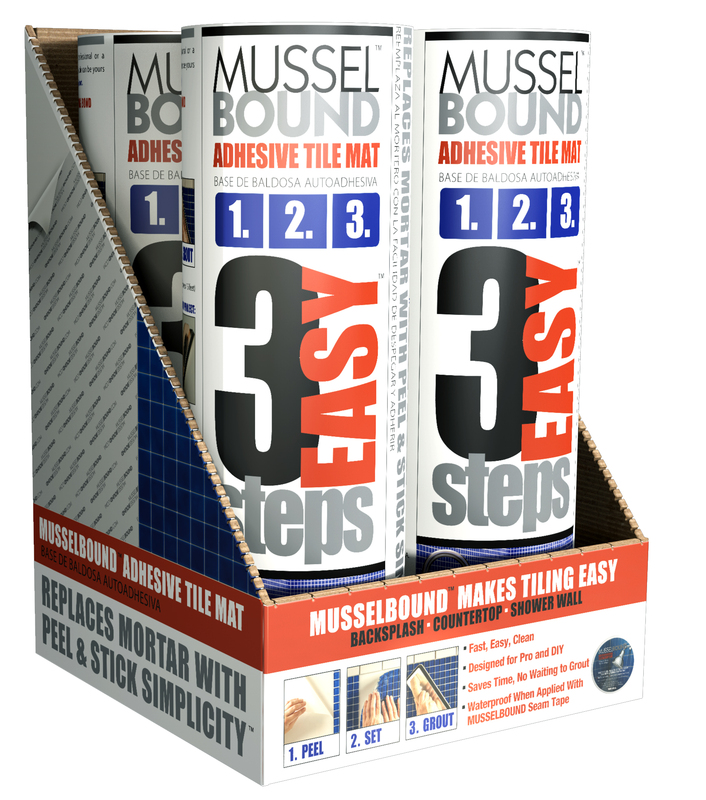 This Ninetimes combination retail product shelf display and branded product packaging design for MusselBound Adhesive Tile Mat can be found in Lowe’s Home Improvement Centers nationwide. 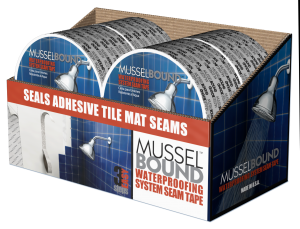 Ninetimes creates realistic images and project specific marketing messages, such as this product shelf display, that raise customer awareness of home improvement products and services. Ninetimes is an award-winning advertising design firm specializing in product packaging design, realistic illustration, animation and video. Our illustrated product and service images provide the flexibility needed to bring great marketing concepts into reach. Our artists can add fresh impact to a mature product or present an engineer’s newest development in a realistic or conceptual scene. Ninetimes graphics are used internationally by market leaders in transportation, construction, manufacturing, energy, medical and telecommunication industries. Ninetimes designs advertising for online, interactive, magazine, collateral, video and exhibit presentations.